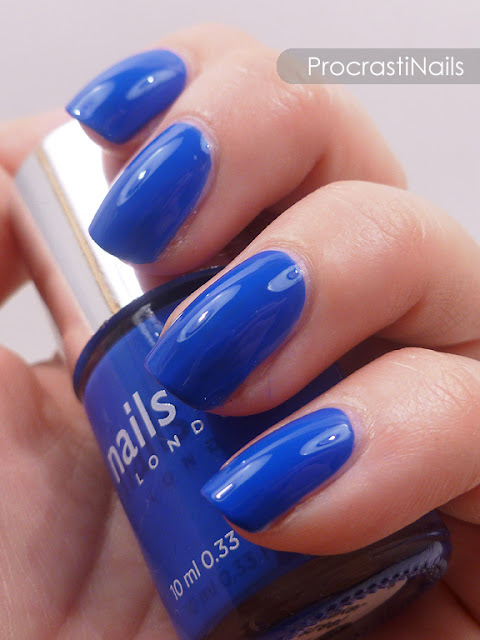 Nails Inc. Baker Street Blue Swatch and Dotticure! 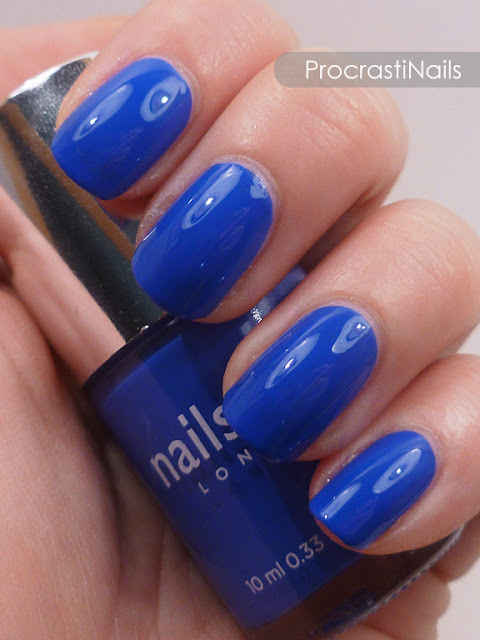 I was walking through the nail polish section at the pharmacy last month and while I was looking at the Nails Inc. display this vibrant blue jumped out at me. Right off the bat I knew it wasn't really a 'me' colour (I like subtle and pastel and glitter), but once I saw that it was called Baker Street I knew I had to have it. Why? Because I have a Sherlock BBC problem. :) But the fact that the colour was so very much not-me meant that I didn't actually buy the polish until my third trip to the pharmacy. I wanted it but I didn't actually want it. Do you ever have those moments with a bottle of polish? Where you know you need to have it, but don't know if you want it? Haha. Anyway, I eventually picked it up and here we are. 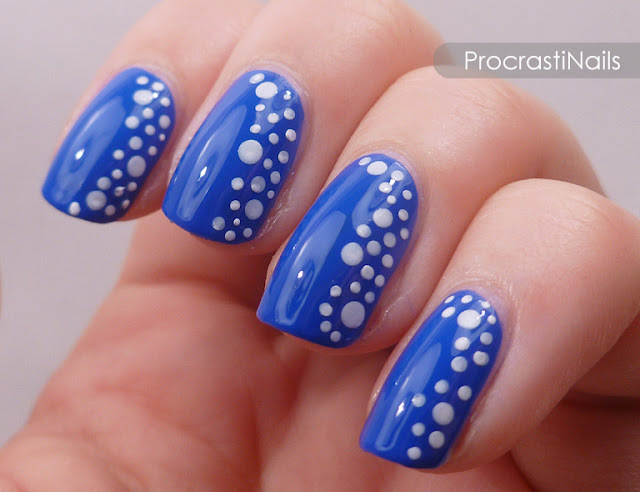 :) See below for swatches and more shots of the dotticure I ended up doing with it! I wore this to work for a few days, and though it did start to grow on me a bit I still don't think it'll ever become one of my daily staples. Go-to shade for an 80's party? Sure. Accent colour to jazz up a little black dress? Of course. 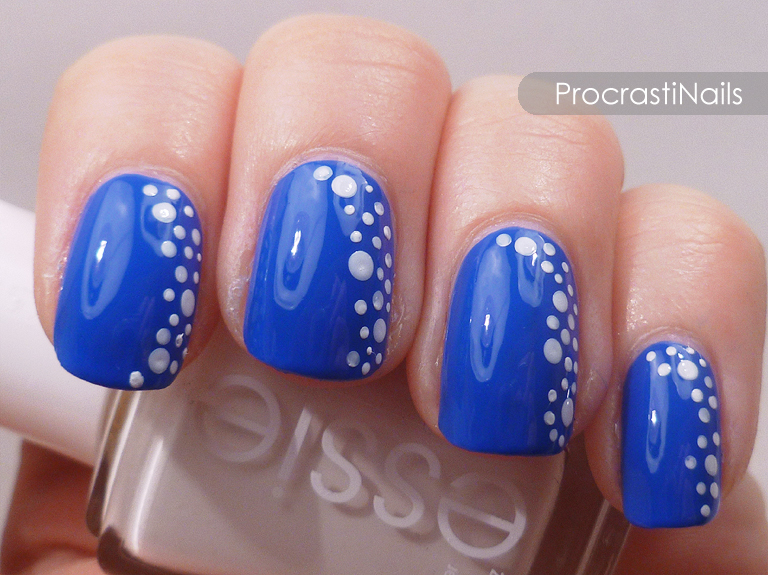 Pop art nail art? Possibly. But beyond that, it'll probably live it's life on the shelf. Ah well. 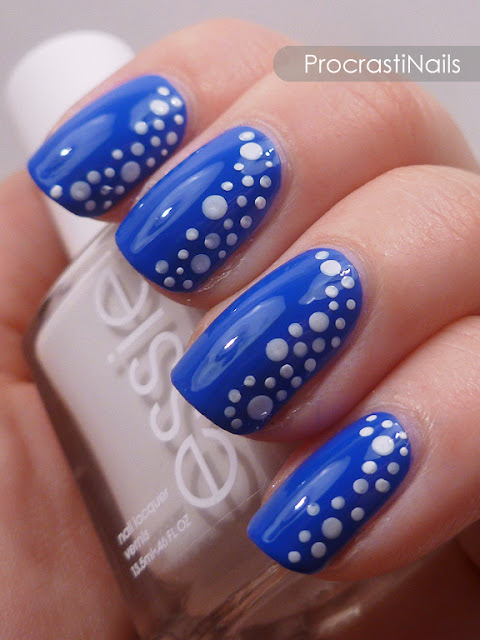 I used two sizes of dotting tools and Essie Blanc to do some cascading dots along the side of my nail. It's a look I've seen done for a while but never got the chance to try. I love how elegant yet striking this look is in real life. I wish I'd taken a shot from farther away so you could see how small the dots are irl compared to what they look like in these close shots. They kind of look like bubbles in the ocean, now that I'm looking at them again... Or snow, falling in a very specific way. lol. Yeah, those are my exact feelings! Haha. Oh well. Jelly Sandwiches with OPI and Maybelline! Microbead Gradient with PUPA Milano and Essence!